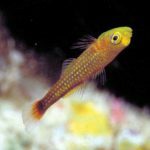 Home / Fish / Pseudanthias vizagensis, Is The Vizag Anthias Really A New Species? 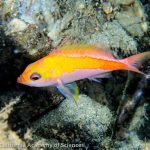 Earlier this year, a beautiful new species of anthias was described in what can only be described as an incredibly obscure scientific journal, and, as tends to happen in these instances, this discovery is only now getting noticed. It was found in the deep waters (180 meters) near Vizag, situated along the eastern coastline of India, and apparently it is quite abundant there. A total of 44 specimens were brought up, but despite this abundance of material, there is quite a bit of confusion surrounding this taxon. Now, I won’t mince words here, this paper is almost comical in its inadequacies. Aside from the broken English scattered throughout, some very basic information about this fish has been left all too ambiguous. For instance, the written description of the holotype specimen states the length as being 89-91 mm, which is rather odd for what should be a single specimen. This is because there is no single holotype specimen, as there should be, but, rather the entire series of 44 collected specimens has been summed together (instead of being listed as paratypes, as they should have been). But such nitpicking is of more concern to taxonomists. The more egregious mistake concerns how large this fish actually is. Aside from the 89-91 mm estimate that was written, their Figure 1(A) states the holotype (again, singular) as being 97mm! Their Figure 2 puts the number at 119-124 mm! And their Table 2 argues for 93-97 mm!!! Good grief… pick a size for this fish, you’ve got 44 of them to measure. 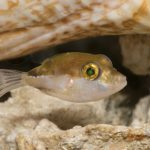 But there’s an even greater error to be found, and it concerns the relatively minor fact that this fish has probably already been described! 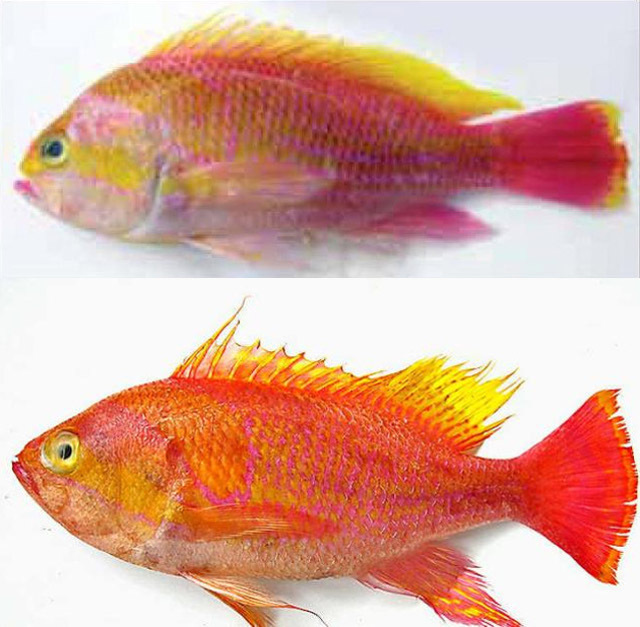 In a review of the Western Indian Ocean anthias published just five years ago, serranid aficionado Phil Heemstra recognized Pseudanthias pillai from specimens collected along the other side of India (Charakkadu and Kochi, to be precise) at approximately the same depth. Morphologically and phenotypically, the two are seemingly identical, though you’ll hear it stated otherwise in the vizagensis description. The differences put forward by these authors are all fairly inconsequential, and, given the general low factual quality in the study as a whole, I think it’s fair to question the veracity of any of the diagnostic traits suggested. 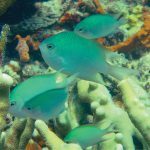 The five characters related to color pattern are all well within the bounds of what we might expect to find within a single species, especially given how variable anthias are as a group, particularly as males. And, keep in mind, we only have two documented specimens of P. pillai—a 119 mm male and a 100 mm female (or young male)—so it’s quite likely these subtle differences are just an artifact of how little we know about that fish to begin with. 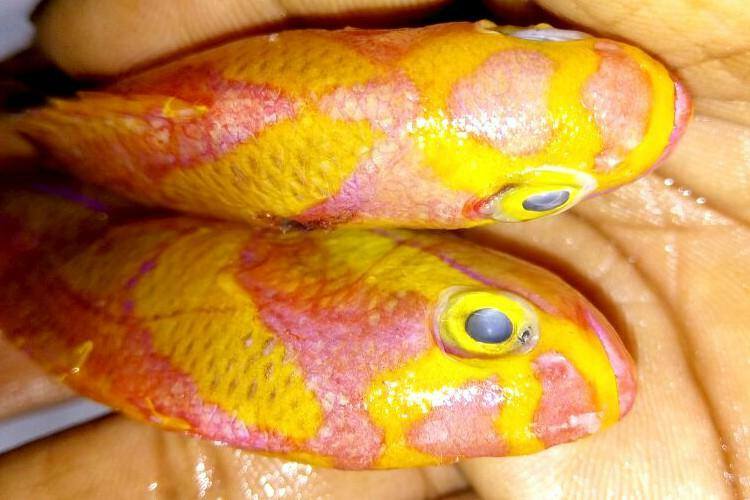 These are the only documented photographs of Pseudanthias pillai. The top is a 119 mm holotype specimen from Heemstra & Akhilesh 2012. Yes, it too was published as a tiny, pixelated image… can anyone share a proper image of this gorgeous fish already?! The lower photograph is an unidentified specimen published in a 2012 article published on The Hindu. Note the stronger vertical bar present in this second specimen, as well as the weakly emarginate (not lunate!) caudal fin. which matches well with that mentioned in the vizagensis description. But to definitively settle this matter, more study will be required; genetic data is sorely needed here. There is the possibility that P. vizagensis is actually a legitimate species of the Eastern Indian Ocean that just stretches into the easternmost portions of India, being replaced further west by the nearly identical P. pillai. Endemism like this is, however, unknown anywhere else in the genus, and it would probably be even less likely to occur in a deepwater fish like this, as these tend to be more broadly distributed in general. So, to sum this all up, take the Vizag Anthias with a grain of salt… but Pseudanthias pillai sure is pretty. Heemstra, P.C. 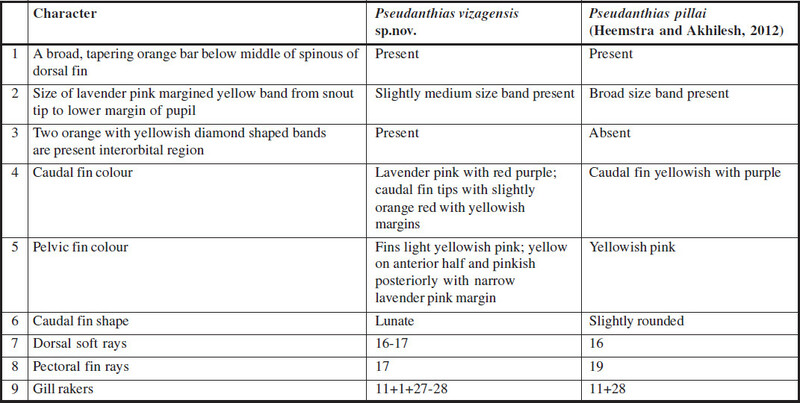 and Akhilesh, K.V., 2012. Review of the anthiine fish genus Pseudanthias (Perciformes: Serranidae) of the western Indian Ocean, with description of a new species and a key to the species. aqua, International Journal of Ichthyology, 18(3), pp.121-164. Krishna N.M., G.V. Rao and D. Venu, 2017. 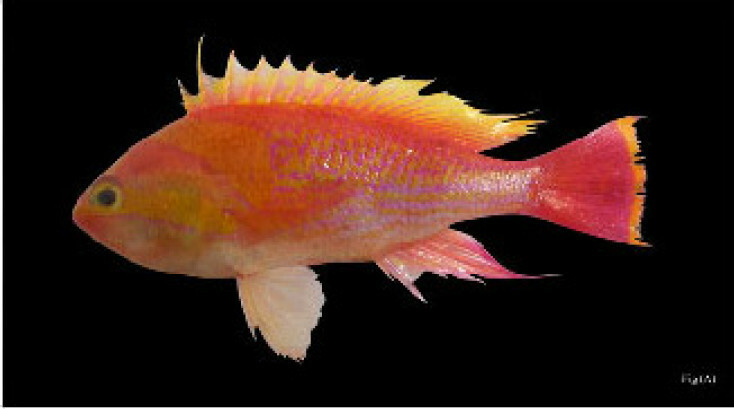 Pseudanthias vizagensis sp. 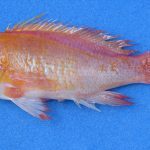 nov., a new anthiine fish (Subfamily : Anthiinae), genus Pseudanthias. India. J. Exp. Zool. India, 20(1):213-216.